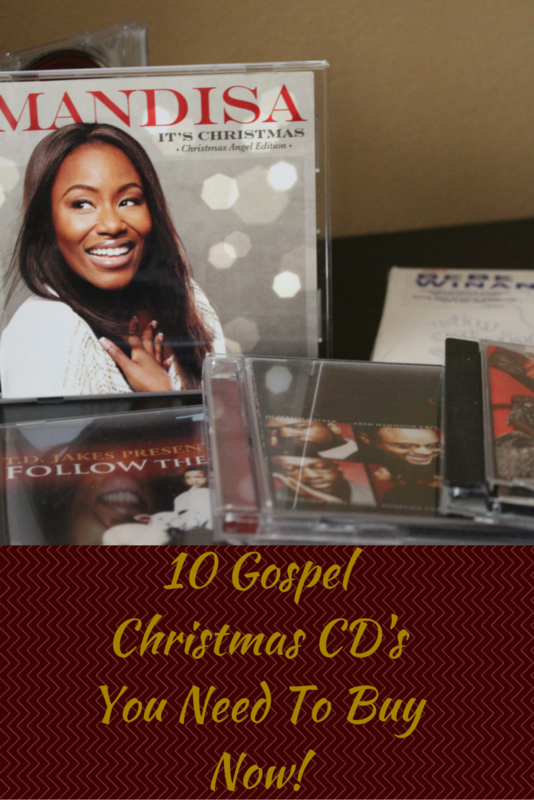 10 Gospel Christmas CD's You Need To Buy Now! Gospel music is very near and dear to my heart. Now that were in the Christmas season, it's time to celebrate Gospel style! I put together a list of my all time favorite Gospel Christmas CD's that I have loved through the years. Listen a snippet of all these albums to hear it for yourself. 1. Kirk Franklin: Christmas - It's old, but no Christmas collection would be complete without it. All my people say! 2. Real Meaning of Christmas is a compilation of various artist such as Fred Hammond, Ben Tankard, Commissioned that I have played year after year. There are actually 3 volumes of this so get each one. 3. CeCe Winans: His Gift - Just as lovely as she is! I once did a praise dance to one of her songs. 4. Bebe Winans: My Christmas Prayer - He also put out a classic Christmas cd that will take you back to the days of Nat King Cole. 5. Follow the Star by T.D. Jakes is another great Christmas project featuring various artists. And, you will get a chance to hear T.D. Jakes on a few projects. 6. Gary Mayes and New Era: Go Tell: Nex Perience 2 is one of those albums that you have probably never heard of but need to! Hailing from Texas, this album will remind you a little bit of Kirk Franklin with a more urban sound. 7. 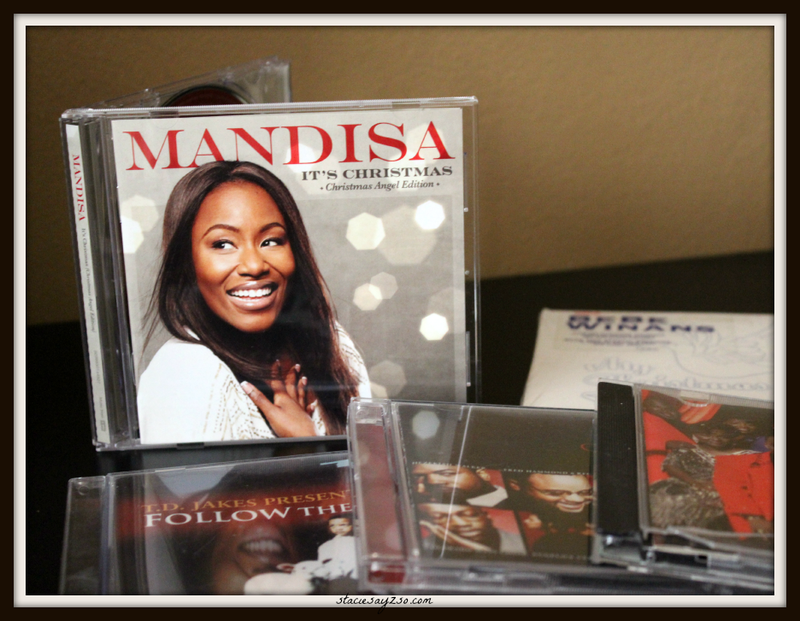 Mandisa: It's Christmas - One of my newer favorite contemporary projects. Remember her from Amercian Idol? My son just loves this one! 8. I can't forget about Mary Mary Christmas . I always love singing along with them as if I can sing. I wish! 9. Next, Fred Hammond Christmas... Just Remember - would probably be my favorite, hands down. The harmonies and melodies are just what you need to put you into a peaceful, grateful mood. Gift Rap from Cross Music is a classic. You'll be noddin' your head to these festive beats! Do you listen to Gospel Christmas music? What's your favorite song? Just last night I was saying that I need to find some good Christmas music for the kids with classics and songs that emphasize what the season is really about so this is really on time for me. I'm familiar with most of these artists with the exception of Mandisa but I'll check her out on itunes. You'll love Mandisa, she's got a great, soulful voice. Hope this list will help in making your Christmas merry! My favorite music is gospel music. As a result, I was glad to see this list of my kind of music. Mine too! Aint nothing like it! Yes! Love this list. I need to get Mandisa's album! Thanks for sharing Stacie. Glad I could help, sis! Love your blog! I'm so far behind and need to build up my Christmas music playlist for real! I'm going to be looking into these as I only own partial albums LOL Thanks so much for sharing! Thanks! What I have even done is buy certain songs on mp3's and made a few Christmas mixes. Works just as well. Kirk Franklin's CHRISTmas album is a must! It truly is timeless. I have never listened to Mandesa (imagine I'm not an idol fan) but I would love to add a new artist to my list. I may even give rap music some consideration. Thanks for sharing your picks with us. Merry Christmas. Merry Christmas to you too. You're right, Kirk Franklin is a must. I need to pull that CD out now! I did not know that Mandisa had a Christmas CD! Mary Mary's Christmas CD is one of my favorites! I have to check out the others! You'll really like them. Mary Mary's project is one of my faves too. Madisa is a artist that you should get to know. She has a powerful, yet contemporary (pop) voice. I listen to gospel music sometimes. This is an awesome list of Christmas music Stacie! Have a Merry Christmas and a Happy New Year! Isn't Gospel music the best?! Merry Christmas to you too, Louida! Ooh! Great list! I didn't even know some of these artists have Christmas albums. They sure do! And, there are so many others as well.